Latest data analysed for the Australian industry by market and trade consulting experts IndustryEdge shows average hardwood export prices were $178.23/bdmt, delivered on board the vessel in Australia (Free on board), while the price of softwood chips was $174.75/bdmt. Mr Woods said, however, that recent price rises for plantation hardwood chips will not always be reflected in export prices. “For a few reasons, including the fact there is a mix of plantation species and native forest chip, the average hardwood chip price moves around from month to month. Each of the different hardwood chips has its own price.” Mr Woods said, but also confirmed that plantation hardwood chip prices rose earlier in the year. “The driver for higher woodchip export prices is persistently strong demand for fibre, across the globe, but especially in Asia.” Mr Woods said. 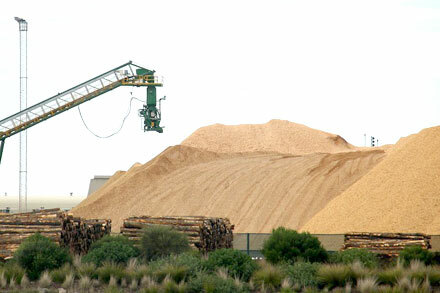 For the year-ended February 2018, Australia’s woodchip exports totalled a very large 6.768 million bdmt. Looking forward, IndustryEdge says its shipping analysis shows exports for March will be above 600,000 bdmt, with 24 vessels departing Australia’s ports in the month. IndustryEdge’s detailed monthly woodchip export trade data includes up to date vessel tracking that provides export information up to ten weeks earlier than formal data is available. The data is analysed in IndustryEdge’s monthly publication, Wood Market Edge, which is available for subscription, and is also provided on a complimentary basis to subscribers to the monthly Woodchip Export data series.